Alex Gonzaga Returns to ABS-CBN, Project Line-Up Reveals! "It's nice to be back as Kapamilya!" This is according to the younger sister of Toni Gonzaga who switched network from TV5 to ABS-CBN! 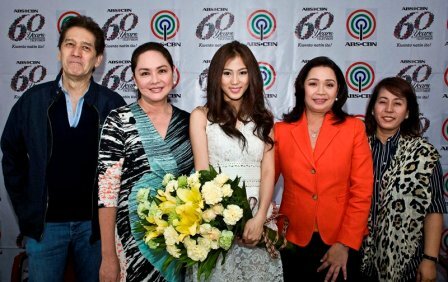 Actress-host Alex Gonzaga makes a comeback to ABS-CBN as she recently signed a two-year contract with the network. First in Alex's line-up of projects with ABS-CBN is the upcoming singing competition “The Voice of the Philippines” where she will join Robi Domingo as social media correspondent. She is also slated to return to comedy via weeknight gag show "Banana Nite" and will also be part of a teleserye airing soon. “The projects that ABS-CBN prepared for me are the things I really love to do. There’s hosting, comedy, drama and I really could not ask for more,” said Alex, who started her showbiz career as a Kapamilya back in 2006 in the youth-oriented sitcom "Let's Go."